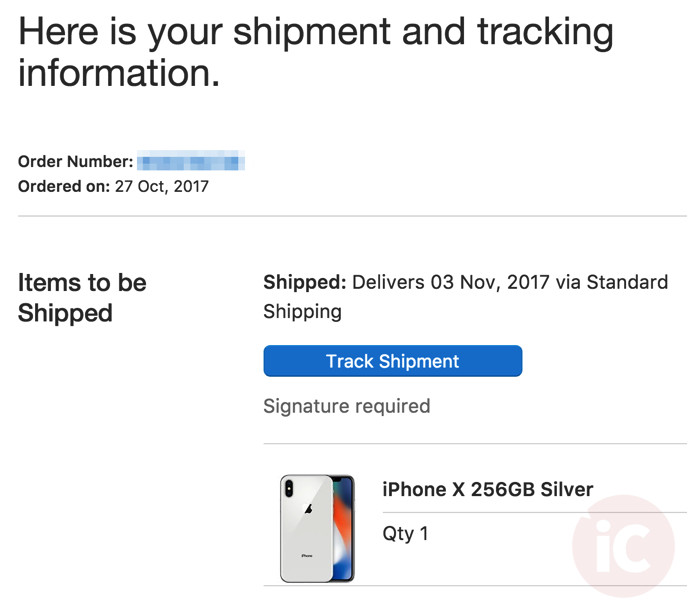 Yesterday we told you how to find your UPS tracking number for your iPhone X pre-order, and shortly after midnight Pacific Time this morning, Apple shipped the first orders in Canada, set for delivery on Friday, November 3, the device’s launch day. As you can see from the email we received, Apple says our iPhone X has shipped. According to UPS, the current status is ‘Order Processed: Ready for UPS’—essentially in holding until it will be shipped out tomorrow. Apple stated in a previous press release Apple Stores will have iPhone X stock on launch day, but supplies are limited. If you’re planning on waiting in line, you’re told to “arrive early” for the best chance to nab one on Friday. Has your iPhone X pre-order shipped?